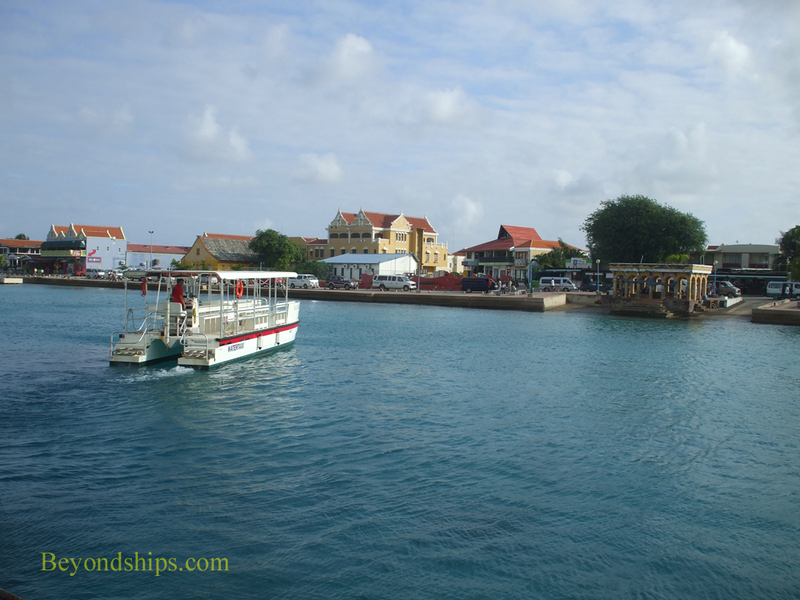 Kralendijk is the capital of Bonaire. By North American or European standards, it is a moderate sized town. However, because of its small size, it can easily be explored on foot. 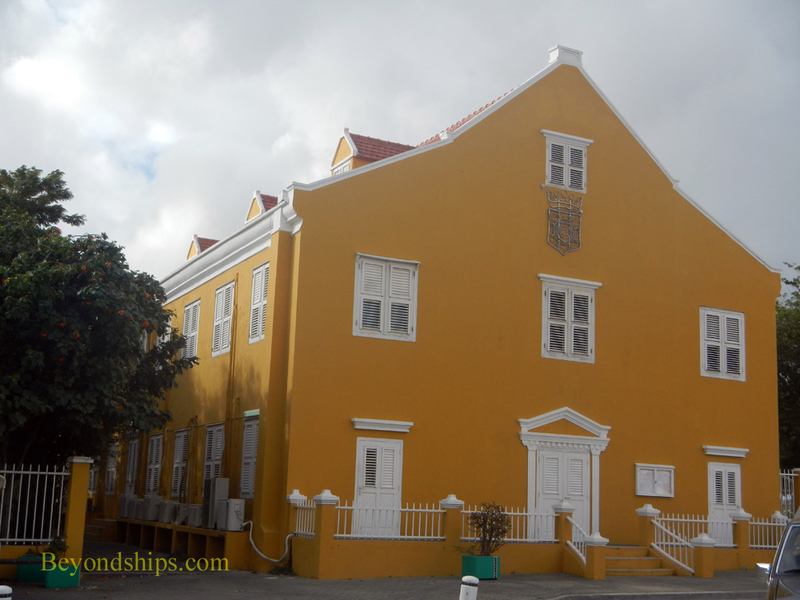 The town's most prominent landmark is Fort Orange. It was begun by the Dutch in 1639 and was modified several times over the centuries. Four English cannons from the early 19th century protrude from its walls. A stone lighthouse built in 1932 replaced the 1868 wooden lighthouse. The fort is immediately adjacent to the Town Pier. Next to the Fort is the Government Office, which was built in 1837. Originally, the home of the island's governor, as the name suggest, it now houses the local government. Queen Wilhelmina Plaza is next door. 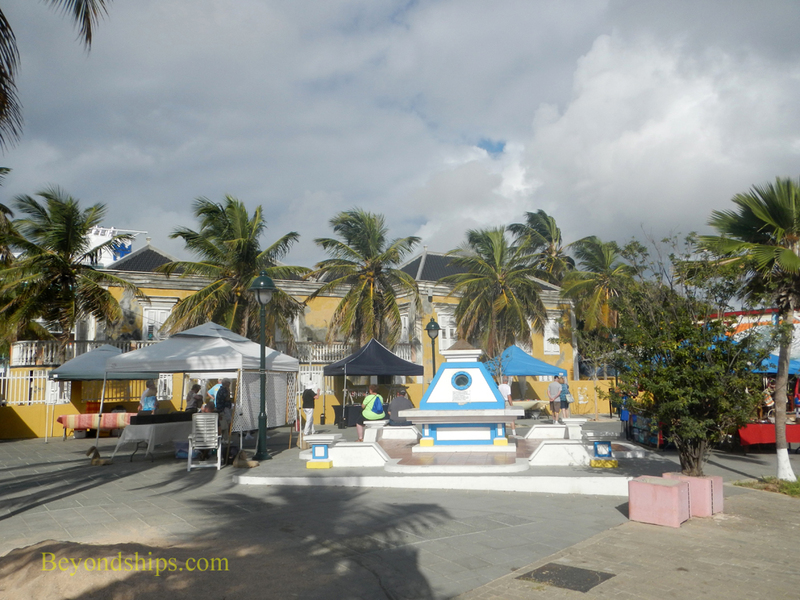 On days when a cruise ship is in port, the plaza becomes an open air market with locals selling souvenirs and crafts. 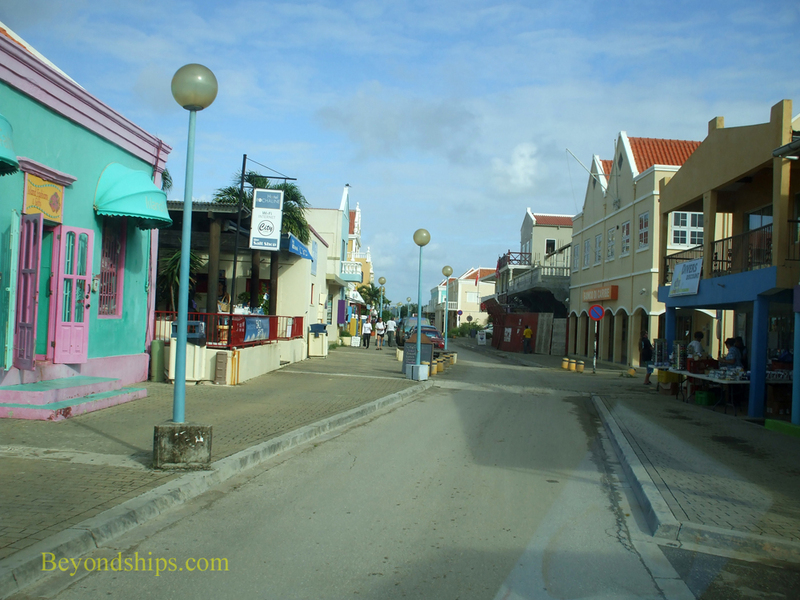 Kralendjik's main shopping street, Kaya Grandi, is one block inland from the seafront. It is a mixture of 19th and 20th century buildings. Traditionally, the shop was on the ground floor and the proprietor and his family lived on the upper floor. 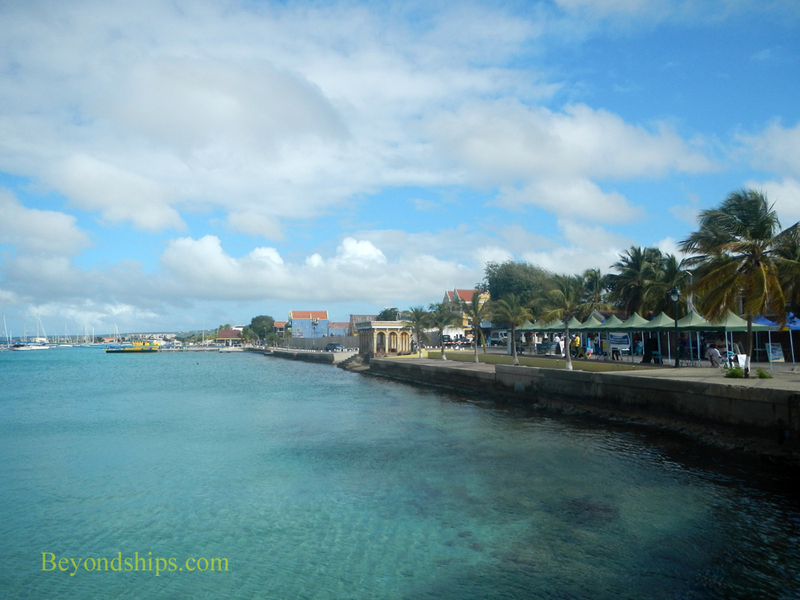 Along the sea front is a pleasant promenade with a number of cafes. The water lapping the stoney shore is very clear and fish are often visible. Above: Kaya Grandi early in the morning.